John, Paul, George, Ringo. 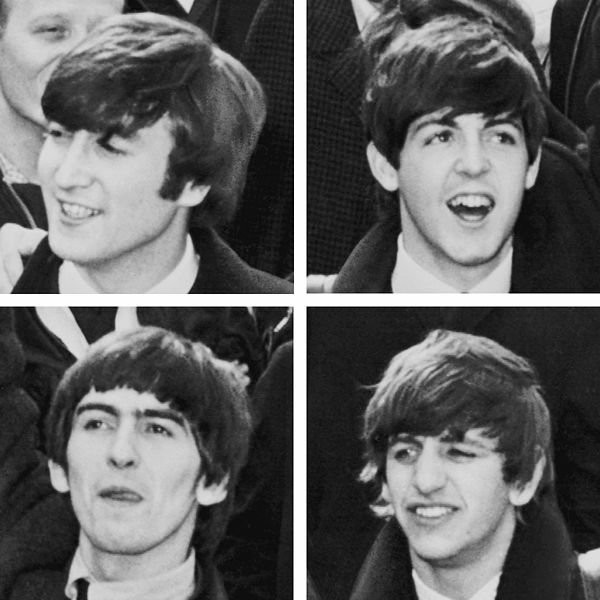 Those are the names imprinted in our brain when we hear “the Beatles.” Those with a bit of knowledge about the band’s history know the “fifth Beatle” stories, centering on original drummer Pete Best, and about some others who shuffled in and out during the early days. However, there was one man who came close to officially being named a Beatle toward the end, replacing a core band member. This man was none other than the guitar legend Eric Clapton. 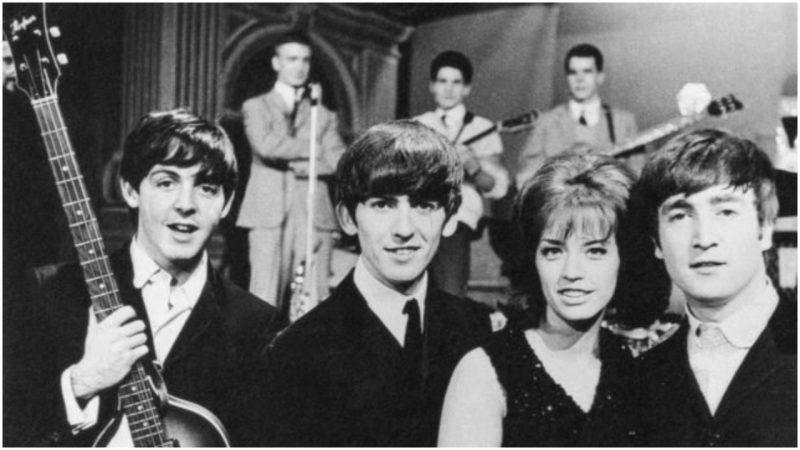 Clapton first met the Beatles in December 1964, at the Beatles Christmas Show in London. Clapton and his band the Yardbirds played as a supporting act for the Beatles. The band members promptly befriended him, especially George Harrison, who became his closest friend. Harrison contributed many songs to the band’s repertoire, including “Here Comes the Sun” and “While My Guitar Gently Weeps,” on which Clapton played and recorded the lead guitar at EMI’s Abbey Road Studios in London, creating his most popular guest recording sessions. The four members of The Beatles. The story goes that on September 3, 1968, Harrison couldn’t get his guitar to “weep,” so after dozens of takes and tricks he called Clapton for a helping hand, saying: “We’re going to do this song [While My Guitar Gently Weeps]. Come on and play on it.” Clapton replied, “Oh, no. I can’t do that. Nobody ever plays on The Beatles records.” Harrison answered, “Look, it’s my song, and I want you to play on it.” The song appears on the Beatles’ double album The Beatles, also known as The White Album. 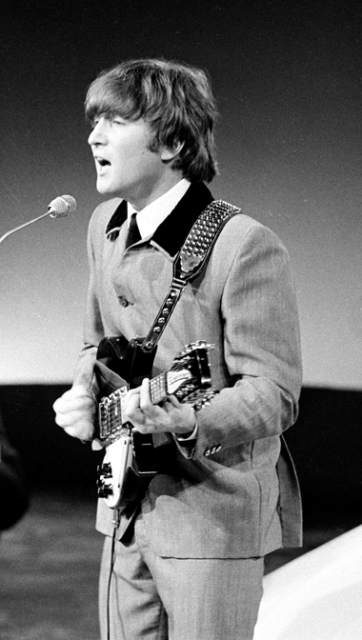 John Lennon couldn’t make it to the session, so it turns out that Eric never recorded with the full Beatles team. 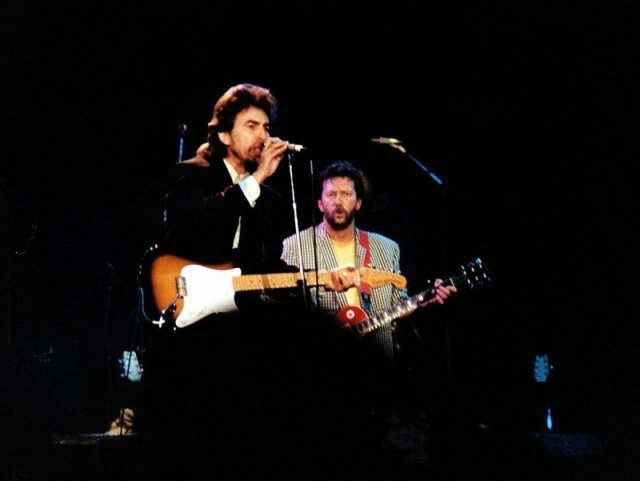 The completed track has Eric Clapton on lead guitar, Paul McCartney on bass and piano, Ringo Starr on drums, and George Harrison on vocals/guitar. Eric Clapton in Barcelona, 1974. Author: Stoned59. CC BY 2.0. About a year later, in January 1969, during the fractious sessions that would become Let It Be, George Harrison abruptly left the Beatles. 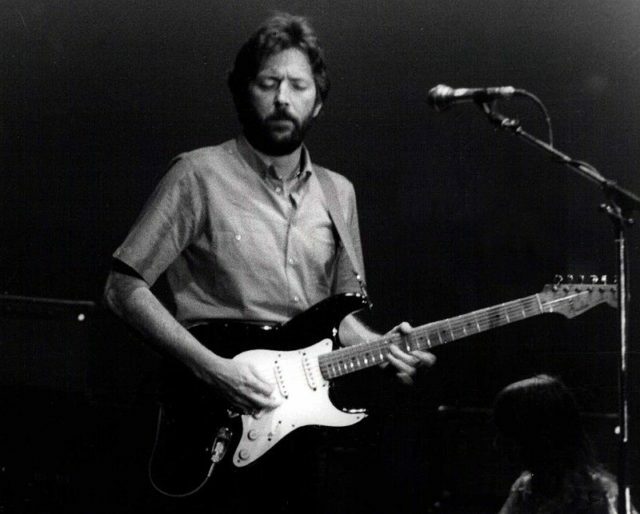 Much of the band’s conversation was recorded and later affirmed the band’s fondness for Clapton and willingness to have him as an eventual substitute for Harrison. Lennon reportedly said that if George didn’t come back by Tuesday, they would ask Clapton to play, asserting that the Beatles “would give him full scope to play his guitar.” Lennon went further, even saying that he wanted the band to keep on playing regardless if Harrison continued with them or not, saying that he was determined to start a new band on his own if necessary. However, the discussion ended there and a jam session began. Lennon’s statement can be just one of his well-known episodes of shooting his mouth off and a bit of an overstatement. What’s even more intriguing, though, is that this might have been his tactic to force Harrison into rejoining the group, hoping that his words would reach and influence him. George Harrison and Clapton at the Prince’s Trust Concert, Wembley Arena, 1987. Author: Steve Mathieson. CC BY-SA 2.0. “It was a very difficult, stressful time,” George Harrison said later of his quitting the band. He did return, after discussions that included a few demands of his that must be met.